Kenneth Gilbert Petteys was born on July 1, 1905 in Wilton, Saratoga, New York. He was the firstborn of Frank Henry Petteys (24) and Hazel Mae Varney (17). His father farmed land that the family was renting and down the street there also lived a widowed Ella Petteys, working as a servant of the Buck household, a possible relative of Frank's. When Ken was two years old, his sister Dolores Jessie was born. When Ken was five, his brother Dallas Varney was born. His sister Ruth Leone was born when Ken was 7 years old, and a year later, his brother Clifton Elwin arrived. On April 2, 1917, President Woodrow Wilson asked Congress for a declaration of war, beginning WWI. Ken was 11 years old. 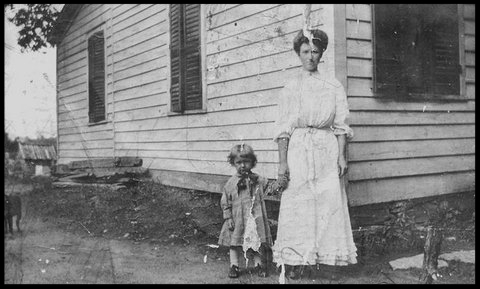 Ken and Dolores were both attending school in 1915. In 1919, his brother Curtis Alton was born. By January of 1920, Ken and his family were living on Gurn Spring Road. A 51-year old man named Jerry Corin helped Ken's father out on the farm while Ken, Dolores and Dallas attended school. In this year, Ken joined the Wilton Grange. It was around this time as well, that Ken started working on the farms set up to feed the staff and patients of the Mt. McGregor Sanitorium, operated by the Met. There were three farms in total, containing horses, cows, pigs, chickens, corn, potatoes, cabbages, and a large orchard. Ken's family lived near the farm, and as a boy he said, "We'd visit with the guys. They dressed off all the chickens over to the piggery... where they had a great big vat with a thermometer in there, and they kept the water a certain temperature. They dipped 'em in there and they'd peel off the feathers in one minute. "They raised about a hundred acres of corn, and they had young kids who could get a horse from their dad to cultivate, and you took your cultivator and a horse and yourself and you cultivated all day. You got a dollar and a half for the horse, a dollar and a half for yourself, and you worked 10 hours and got $3." These families did well enough to afford large homes and entertain one another in the evenings with square dancing and parties. In July of 1921, Ken's brother Lawrence Stanford was born. In December of 1924, his sister Virginia Dawn was born. Ken's sister Elsie Marcella was born in January of 1927 when Ken was 21 years old. Ken left the Met farms and began working on the mountain as the boiler man and handyman. The Mt. McGregor workers would stop by the Greenwich Inn on occasion for lunch, and it was here that Ken met Carrie Loveland, who was working at the Inn. Ken returned a few days later and asked Carrie if she'd like to see a movie. Yet another version of the story is that Carrie's sister, who had moved to Wilton a few years earlier, introduced the two of them. But it was in the fall of 1928 that Ken proposed to Carrie. They planned to wed that very fall, but Carrie's father became ill with tuberculosis, so they postponed the wedding until after his death. On April 20, 1929, at 23 years of age, Ken married 18-year-old Carrie at the Parsonage of South Glens Falls church. The ceremony was officiated by John J. Predom. In 1930, Kenneth and Carrie were renting a home on County Stone Road for $12 a month and Kenneth was working various odd jobs. On May 10th, their daughter Audrey Jean was born. next cutting time, and was used to fill the residents' ice boxes, or chill their drinking water. In October of 1932, they had another girl, named Barbara Ann. In February of 1934, the pipes of the Met barn froze over completely. Employees used blow torches to try to thaw them out, but soon the cobwebs and hayseed caught fire, creating an even bigger problem. They were able to save the cattle, but the barn itself was demolished, and to this day, only two cement silos remain on Farm No. 2.
haircut and shave. Occasionally though he would be paid in chickens or vegetables as well. In 1935, they had their third daughter, Carolyn. By 1940, the family lived in a home worth $2,500. Kenneth was working at the Sanitorium making about $1225 a year. They lived near Maynard Varney and his family. In 1945, Kenneth was appointed first assistant to the fire chief at the Wilton Fire Department. He also began serving as a Town Councilman for Wilton, and continued to serve for thirteen consecutive years. He and Carrie were also active members of the Bottskill Baptist Church. On April 12, 1945, President Franklin D. Roosevelt died in office after suffering a stroke. As his declining health had not been known to the general public, his death came as a great shock, and was mourned throughout the country. President Harry S. Truman took the oath, and as Allen Drury later said, "so ended an era, and so began another." 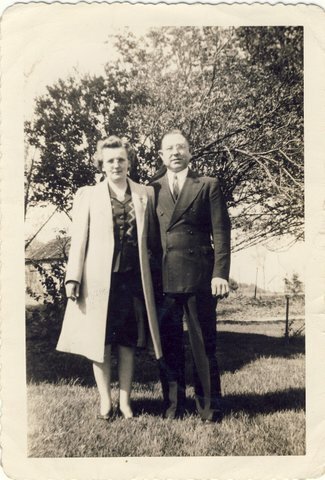 In June of 1947, Ken's mother, Hazel Mae, passed away. In March of 1952, Ken and Carrie announced the engagement of their daughter Audrey Jean to Edward Ball, and a year later announced the engagement of their other daughter, Carolyn, to Joseph Cook. In 1958, Kenneth exchanged his position as a town councilman to that of a town supervisor, and served as such until 1959. It was a close election, with newspapers reporting "Kenneth Petteys, Republican, received 458 votes and his opponent Harry G. Larson, independent received 457 votes. Pettys had been declared winner by an election commission on the grounds that four absentee ballots were invalid." On June 12, 1958, Ken's father, Frank, married Margaret Miller. After Ken retired from Saratoga County, he remained generous with his time, often helping neighbors with work they needed done around their homes. On May 19, 1961, Ken's father passed away at the age of 80. In August of 1973, Ken's brother Clifton Elwin died. In April of 1986, Ken's sister Delores died. In July of 1990, Ken's brother Curtis died. In September of 1999, his brother Dallas died. In February of 2000, Carrie, Ken's wife of 70 years passed away. In March of 2001, his brother Lawrence died, and in October of that same year, his sister Virginia Dawn followed. Having been a life-long resident of Wilton, Ken was very knowledgeable on the town's history, and in July of 2005, just after celebrating his 100th birthday, he spoke at the Wilton Heritage Society in regards to his memories of growing up in the town. On November 17, 2007, Ken passed away at Wesley Healthcare Center in Wilton. He was buried at Gum Springs Cemetery. He was remembered as a "kind and compassionate gentleman, teaching his family by example, the importance of being a caring individual. Ken seldom passed up a chance to share a meal, an experience or join in the celebration of a birthday or anniversary with his extended family and friends."